So why are people going crazy for topicals? First off, they are non-psychoactive, which means they won’t get you high. The cannabis is activated on the skin membrane and isn’t strong enough to penetrate the bloodstream– so they’re able to provide significant physical relief without leaving you in a daze. 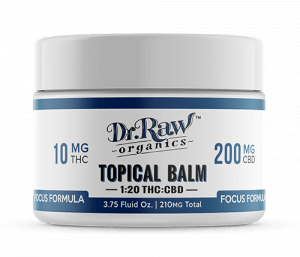 Topicals can offer relief to a long list of ailments including, (but not limited to,) chronic pain, arthritis, muscle soreness, inflammation, tension, cramps, multiple sclerosis, migraines and neuropathy. It’s even been shown to clear up certain skin issues like dermatitis, eczema and psoriasis. So how do you decide which topical is best for you? 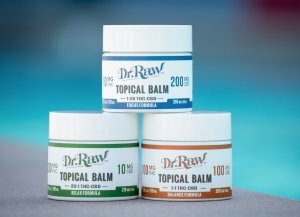 Foggy Daze has recently added the full line of balms from Dr. Raw Organics. Dr. Raw has infused cannabis products down to a science with three iconic formulas: Focus, Balance, and Relax (you may recognize these options from their line of tinctures, also available on our menu.) Each formula provides its own experience that’s based on several years of customer feedback and preference. Dr. Raw’s topical balm is a non-greasy blend of all organic ingredients making it easy to apply smoothly to areas of the skin. Made with organic ingredients: shea butter, virgin coconut oil, vitamin E, lavender and eucalyptus oils and a ultra distilled cannabis oil. Ultra distilled cannabis oil has the terpene profile removed for an odorless and consistent effect every time. Each product has 100% organic, NON-GMO, Pesticide FREE ingredients. Dr. Raw topical product effects are localized to the area to which it is applied; it will not result in a psychoactive effect but promises to still provide relief. Effects typically last approximately 4 hours. This ratio offers the benefits of CBD as an anti-inflammatory + the pain control from the high THC.